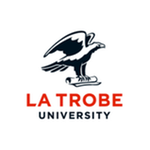 The La Trobe University Research Data Management Policy, section (8f), states "research data and primary materials generated from research will be made available to others subject to any contractual or other legal restrictions, and appropriate ethical, defence related, data sharing and open access principles." 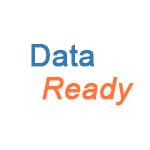 (33) Research data must be made available for re-use or re-purposing where possible, subject to privacy, ethical, contractual or legal limitations that prevent the sharing of data. (34) Research data and primary materials underpinning research at La Trobe must be recorded in a durable and appropriately referenced form. (35) Electronic research data is to be deposited in an appropriate public repository in accordance with any contractual obligations required by funding bodies or publishers. (36) All research data affected by defence export control legislation must comply with the requirements for exporting, supplying, publishing and brokering. Sharing your data adds value to your research paper, can be used to verify and support your findings, and can make your research paper more attractive to read. Sharing your data can expand your audience and increase the likelihood of cross-disciplinary interest and citations, especially if your data is presented in visual form so that it can be more easily interpreted by a lay-person. Depositing your data in a data repository will add another access point so others can find your research more easily. Metadata attributed to your data will also provide further points of access to your research. Some funding agencies already require you to make your data available before accepting your grant proposal. This requirement is likely to be increasingly adopted by other funding agencies in the future. Sharing your data increases the likelihood that your future research grant proposals will be successful. Data that attracts community interest can be used to promote the University. The University’s citation counts are also likely to increase if researchers make their data available to the research community and wider public. The Australian Code for Responsible Conduct of Research encourages you to make your data available to other researchers. All research builds upon previous research to benefit the community as a whole. By sharing your data, it makes it easier for other researchers to replicate your findings and explore new paths of knowledge related to your original research. This is especially true if you make your data available for re-use.